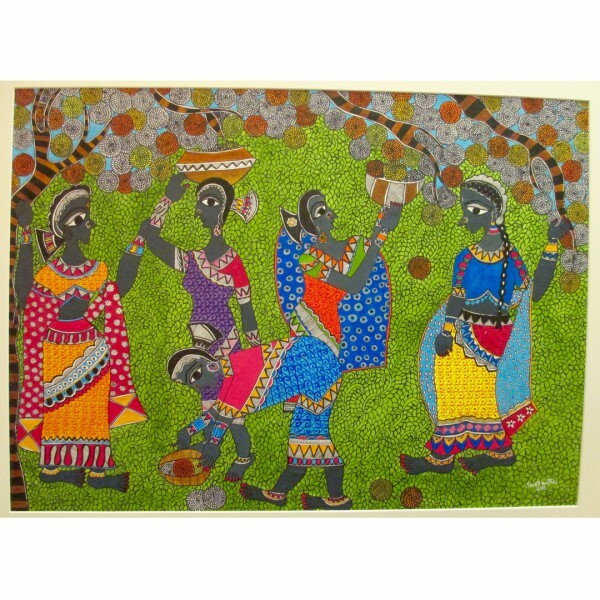 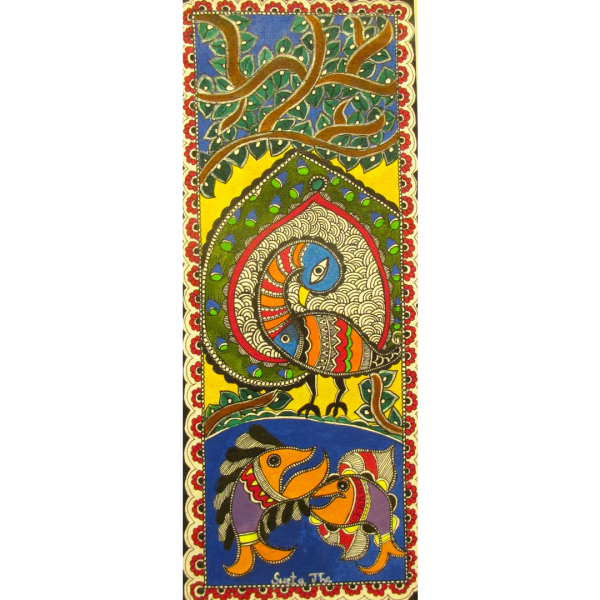 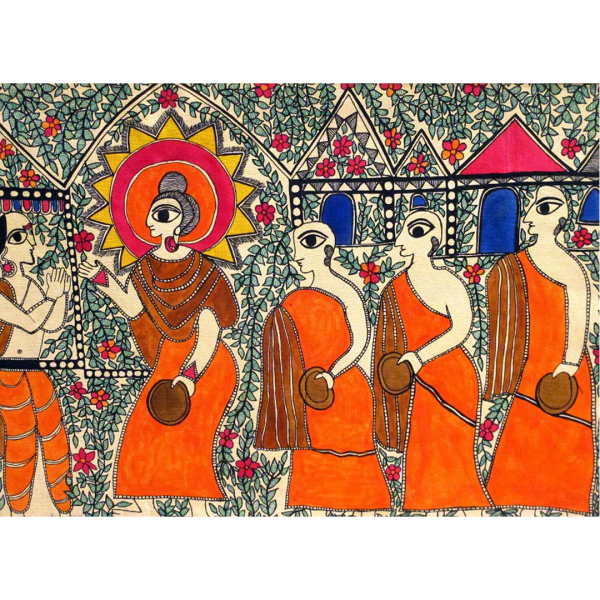 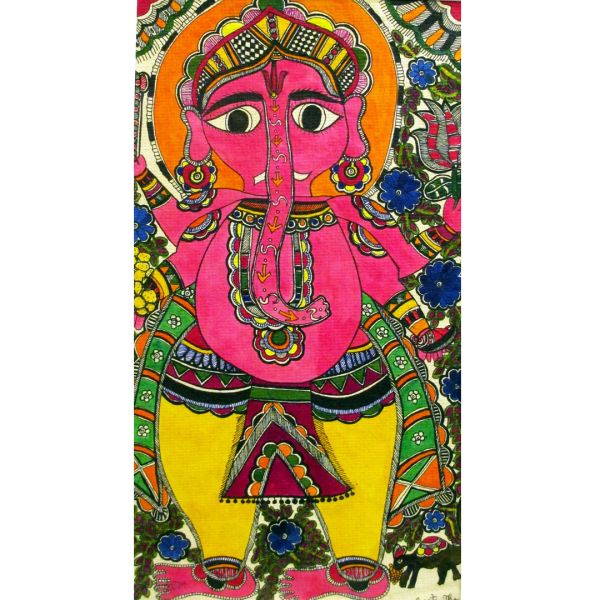 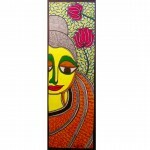 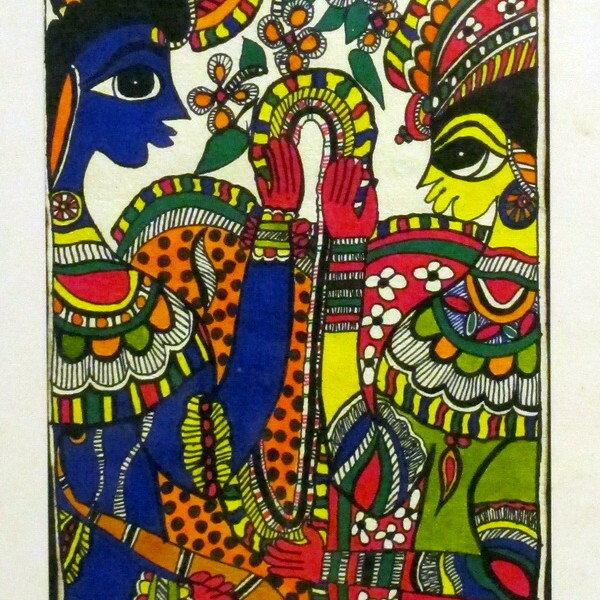 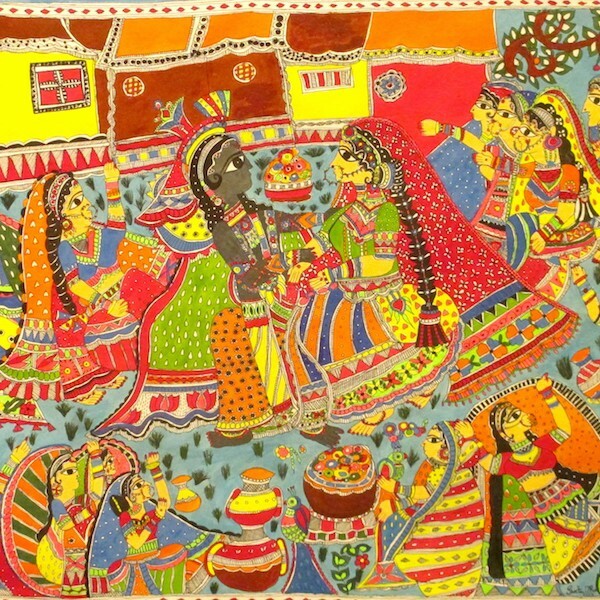 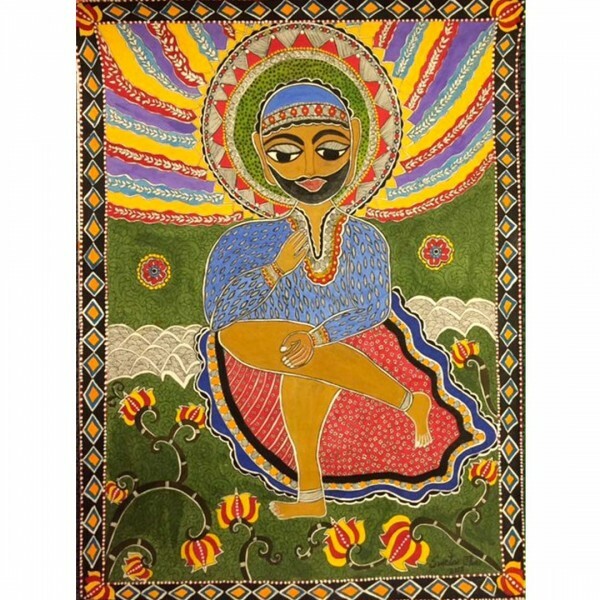 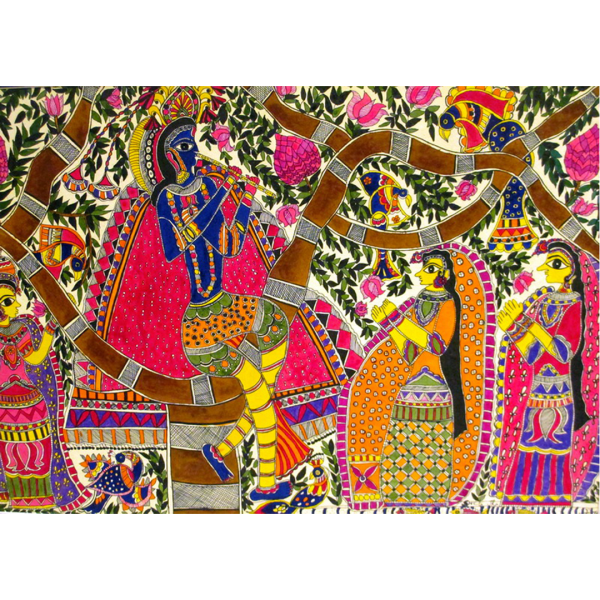 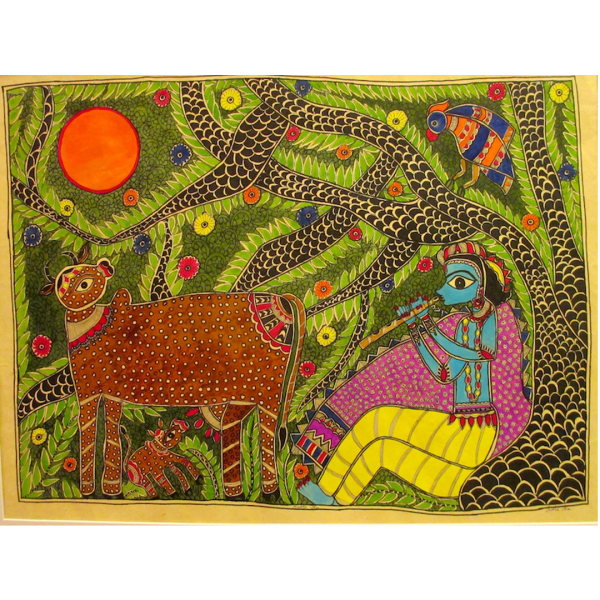 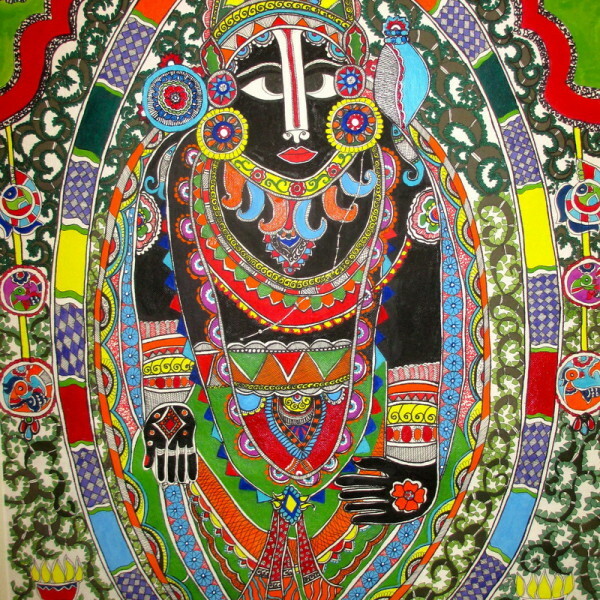 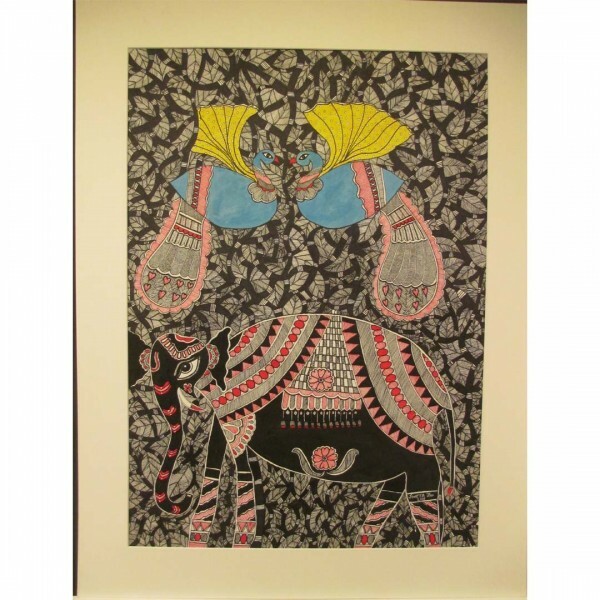 This painting is created in the traditional style of Mithila. 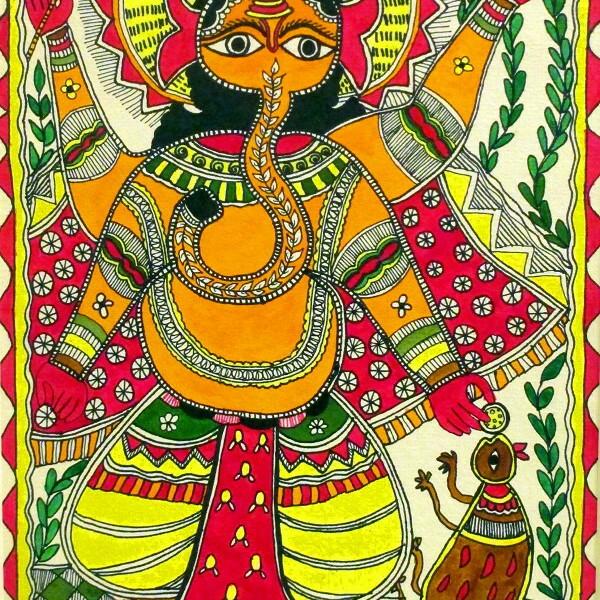 It celebrates the harmony of all nature. 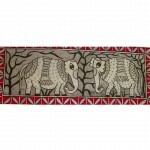 Depicted here are mother and father elephants with a baby strolling in the forest. 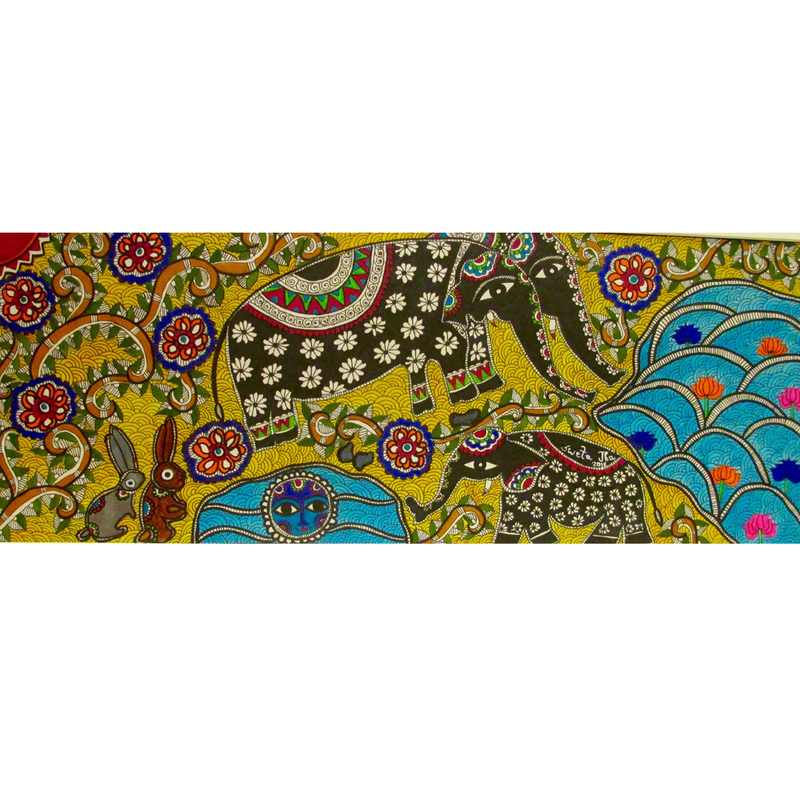 The pachyderms are quite detailed and ornate, while the rest of the composition is filled with colorful flowers.